A Brush for Better Skin, a Detoxified Body, and Clearing Cellulite. Your body eliminates up to 2 pounds of metabolic wastes and toxins per day through your skin? Your skin is your third kidney and the largest organ of your body and it’s always working for you. So why not help it a little by dry brushing? Whenever I take a shower, I make sure to use a skin brush and gently massage my body with a dry brush. 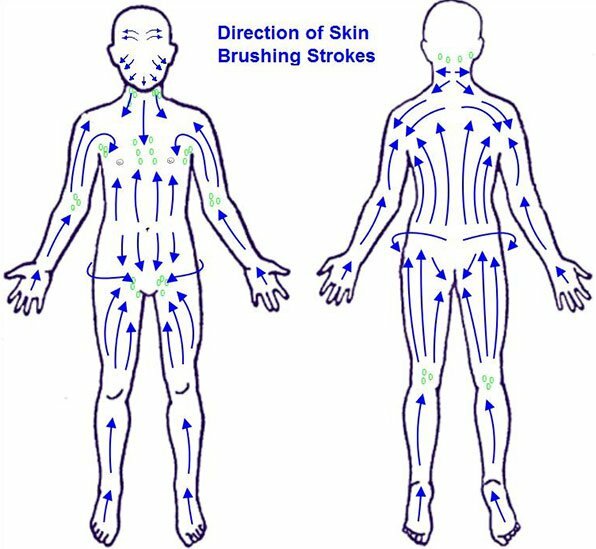 Dry brushing is a practice that has been around in multiple cultures such as the Greeks, Japanese and American Indians etc. for centuries. 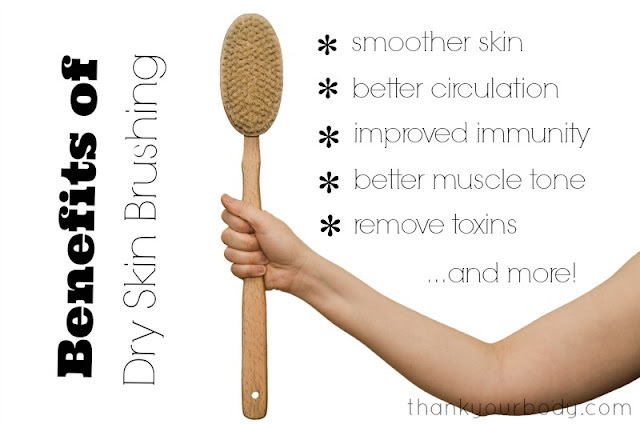 Dry brushing is important since the skin is the largest organ in the body, exfoliating it has many benefits. Dry brushing detoxifies the body by removing dead skin and the massage releases the lymphatic system release, which aids in digestion and kidney function. bottom and massaging up towards the heart). 2. After your legs, and thighs, front and back, massage the lower back and continue upwards. important for the lymph nodes there). 5. For parts above the heart (upper chest and collarbone) brush down towards the heart. 6. Take cleansing shower and moisturize with oil of your choice, coconut, jojoba oil, etc. Which brush to pick for dry skin brushing? Obtain a fairly firm brush so it doesn’t wear out quickly. Remember, it must also be firm enough to stimulate a response from your skin and increase circulation. Pick a natural bristle brush not a synthetic brush. You don’t have to spend 35 dollars on a fancy brush. Try buying one from wholefoods, sprouts or any other natural food store. Written by Michele Miller, Co-founder of All Health Alternatives. This article was republished from itsallabouti.info.